The Hope Pediatric Therapy and Autism Center is holding its second annual "Eggstravaganza: Sensory Safe Easter" event on April 18. It'll be the center's second annual event to make sure every child has a fun and safe holiday. 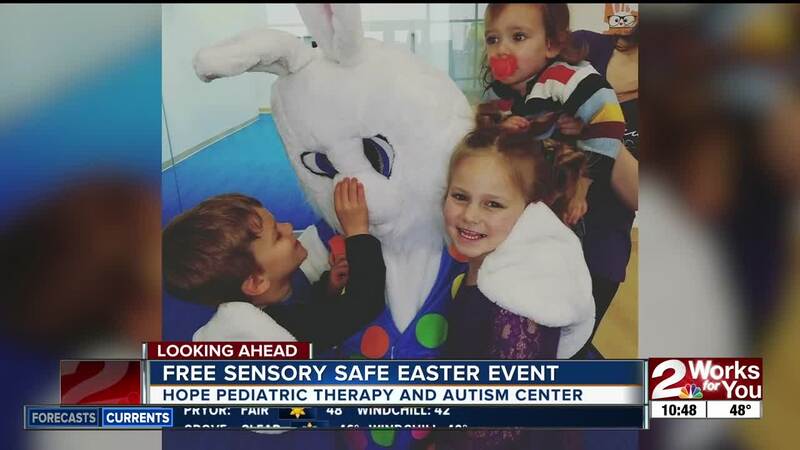 TULSA, Okla. — The Soaring on Hope Pediatric Therapy and Autism Center in Tulsa is holding its second annual "Eggstravaganza: Sensory Safe Easter" event on Thursday, April 18. "We want to make sure that all families in Green Country can experience things with their kids that maybe they wouldn't be able to do in a really loud, overwhelming environment," said Laurie Nation, a speech language pathologist at the center. They'll have free games, crafts and Easter bunny photos for kids and their families. The event runs from 4 to 7 p.m. at the center located on Sheridan and 49th Street. While the event is free, they ask families interested in attending to register. For more information, click here .